New year, new foundation? 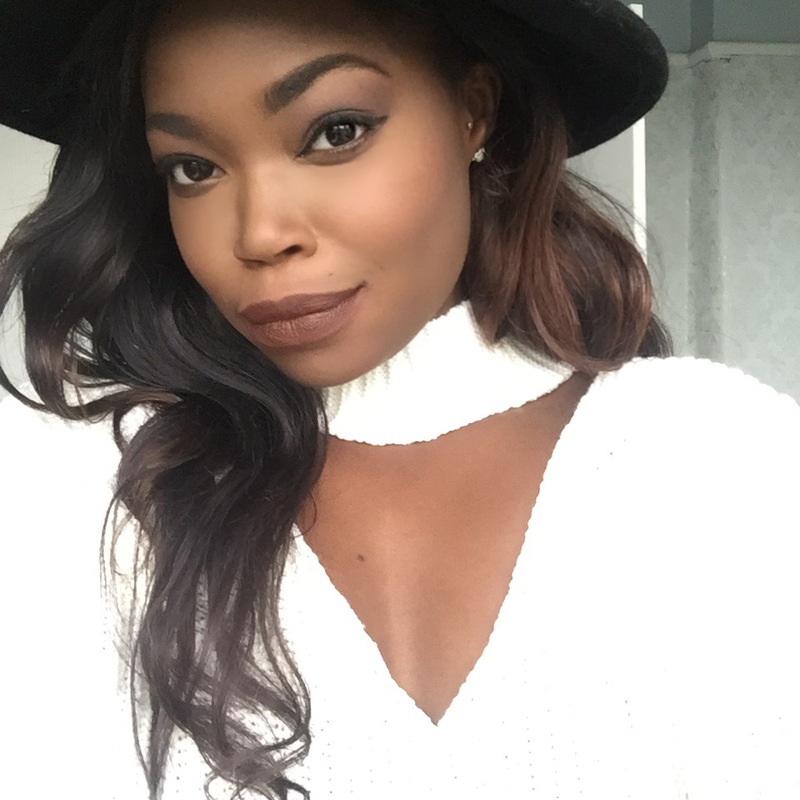 Not too long ago I was approached to try Cake Cosmetics newest Foundation. It couldn’t have come at a better timing with me practically placing an order as the email from the lovely Stevie flattered into my mailbox. Cake cosmetics is the new kid on the block being established in 2015. Aimed at #WOC – Women of Colour, the brand prides itself in being one of the first UK brand offering affordable makeup for those who struggle to find their exact colour match in their local beauty stores. I had a crack at testing their newly launched Daily Wear Foundation in the shade in N95, a shade similar to MAC Studio Fix NW48. I can still remember those days when I walked into Boots or Superdrug and had to choose between “Mahogany” and I actually mean Mahogany, a dark and very wooden colour and “Toast”, something that resembled a sandy colour. 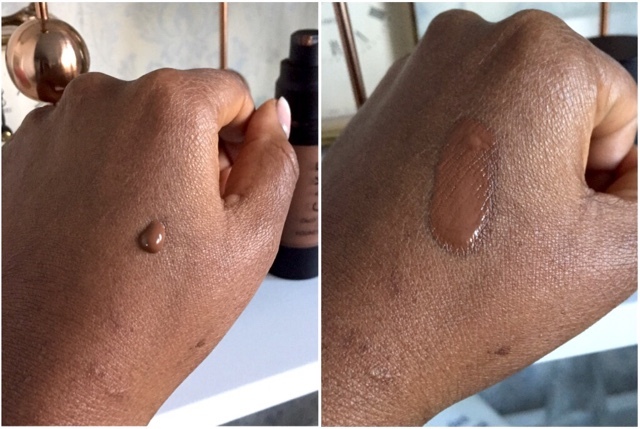 Though, we have come a long way with other leading cosmetic brands making a splash in the market, however there are still a lot of major ‘drug store’ brands as we’d like to call them who completely ignore customers with darker skin tones. Packaging: The packaging is straight to the point and simple. The plastic bottle features a pump (yay) and is easy to handle. It can easily fit into your makeup bag and also appears to be very durable. 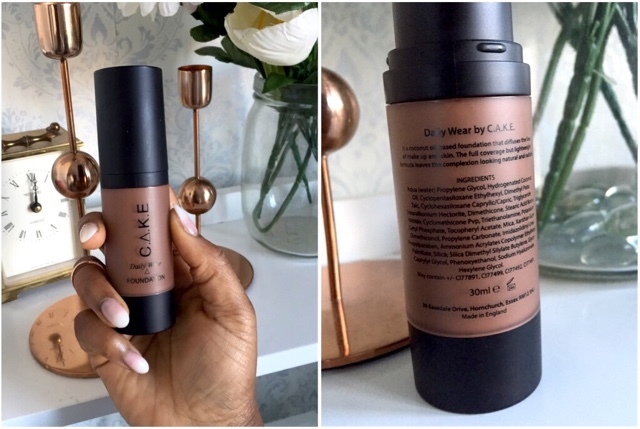 Shade range: Cake cosmetics currently offer 5 deep shades for their new Daily Wear Foundation, covering a good deal of deep skin tones. Apart from foundation, you can find a variety of makeup-items on the website, with products ranging from eyeshadows to highlighters and blushers. Finish: …now I wasn’t expecting this but I LOVED the sheen it gave my face. Regardless whether its summer (specially Summer) or winter I stay well clear of anything that glitters. I’m a glitter/shimmer-phobe and just think that it makes my face look like a disco ball. But I loved the slight hue of shimmer in the foundation, giving you a wonderful luminous finish. The only thing was that the foundation was a tad bit too dark for me but mixed well a bit of concealer. I wore the foundation for a week and have to say that it feared well, with a slight wear off once I reached home at round 6/7pm. Price: Price used to be a major factor for me when it came to foundation, especially drug store foundation. I usually expect to pay no more than £12. Cake Cosmetic currently retails at £13 – being only a tiny bit more expensive than others. Personally, I must say that it’s worth the extra £. 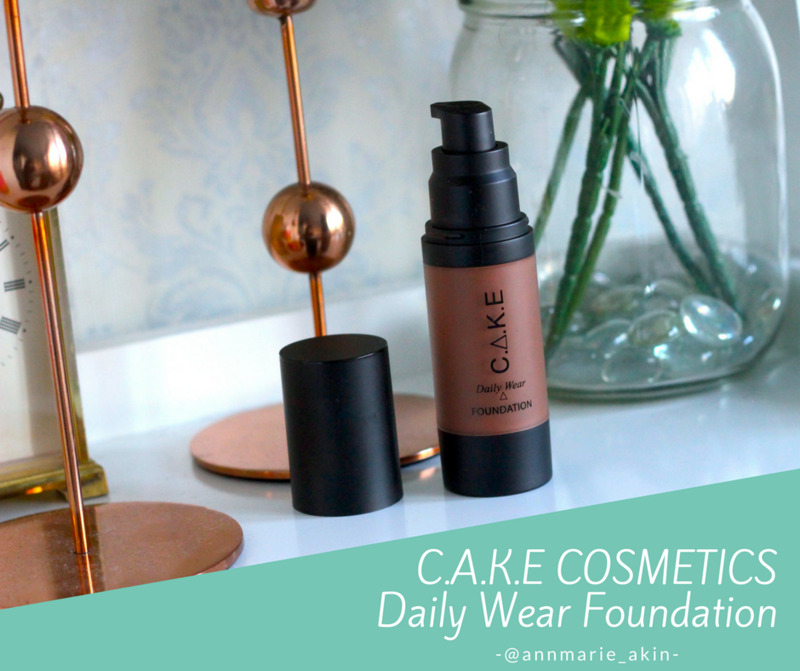 With many of us reaching for high-end brands costing double if not triple, the daily wear foundation proves itself to be a cost-effective alternative. I imagine the price range to be particularly attractive for those still at school or at uni. Though, I’ve noticed that many of us in our mid twenties tend to have one ‘nice foundation’ may it be your NARS, MAC or DIOR foundation and one foundation that we wear on a regular day to day basis...I'm giving you a massive nudge to trial this and make it your new day to day companion. You can directly buy the foundation here for £13. For me, the foundation gets a thumbs up and massive thank you to Stevie for founding the brand for women of colour!